World-famous bloggers Yoani Sánchez, Zeng Jinyan, and Farnaz Seifi are not frightened of their dictatorial regimes. These fearless women stand for a new, networked generation of modern rebels. In Cuba, China, and Iran their blogs shake the foundations of the state information monopoly — putting their lives at great risk. 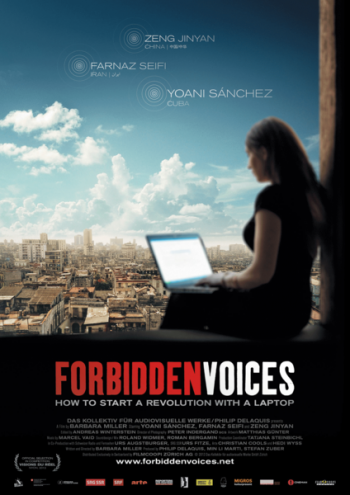 Barbara Miller’s film Forbidden Voices accompanies these brave young rebels on their dangerous journey and traces their use of social media like Facebook, YouTube, and Twitter to denounce and combat the violations of human rights and freedom of speech in their countries — thereby triggering international resonance by building up enormous political pressure.